SMT Smart Tweezers, a newest hand-held LCR meter provides a perfect solution for testing and identification of Surface Mount Components. Also is extremely useful during troubleshooting of complex electronic systems. 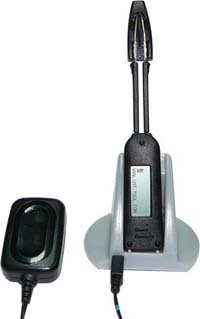 Everything is unique about this LCR Meter: mechanical and electronic design, combination of a precise gold-plated tweezers and a digital LCR meter, compact and super lightweight construction, operation when powered by rechargeable batteries using USB port. Surface mount components are very small and without wire leads, making it more difficult to test and to identify what they are and measure their value. SMT Smart Tweezers gives an opportunity to sort and measure loose components and to do on-board measurements. Gold-plated tweezers tips are able to pick-up and reliably contact even the smallest components. They allow as well to take measurements of already soldered to the board components. 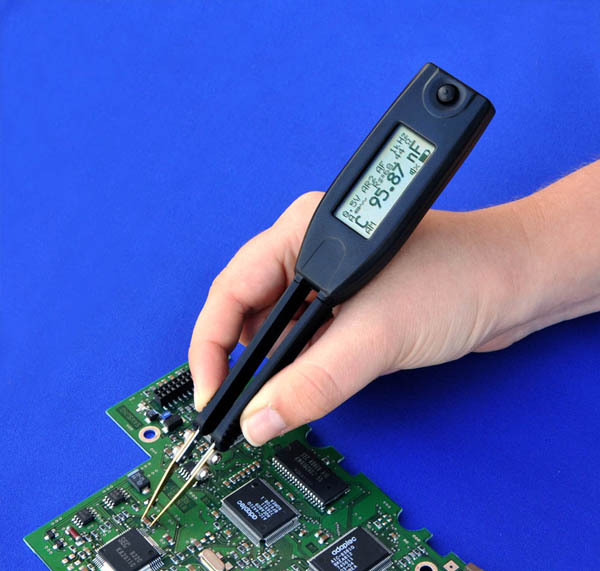 The tweezers can also be used to test conventional components with wire leads. SMT Smart Tweezers automatically will determine type of the component (resistance/capacitance/inductance) and will selects proper range for high accuracy measurements. The SMT-Tool display clearly indicates the type of the component, measured value and test conditions. The integrated small and light tool allows the operator to use one hand to measure, sort etc. Sorting, testing and troubleshooting becomes more efficient , much quicker and cost effective. Smart Tweezers is mandatory nowadays to simplify testing and troubleshooting process.